“The wheels have fallen off! The wheels have fallen off because somebody didn’t be careful with it. They needed to be careful with it and they didn’t. Now it’s broken. Mmm. Great logic. 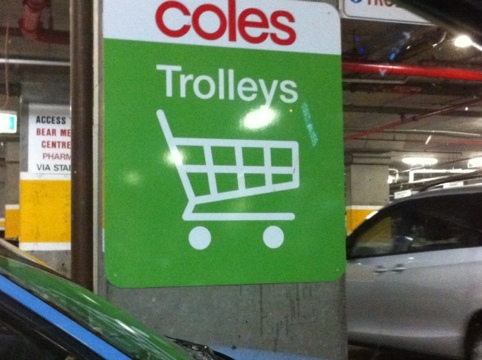 Apart from the part about the trolley being a picture on a sign!